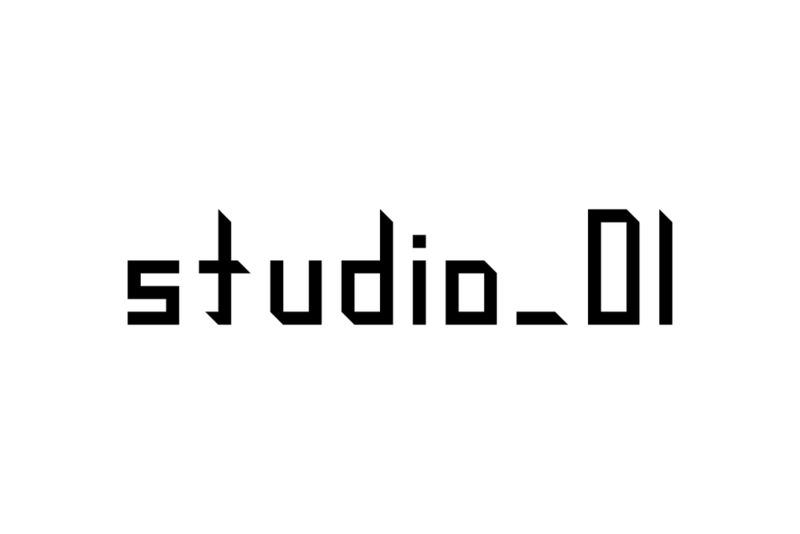 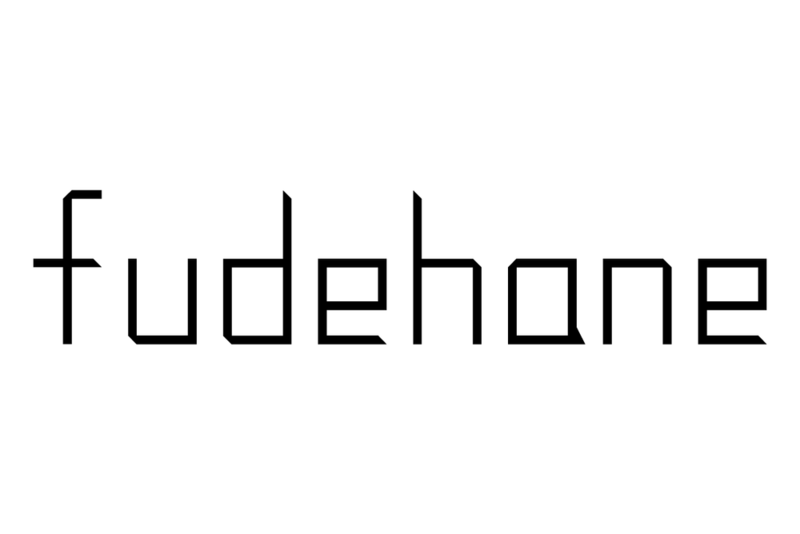 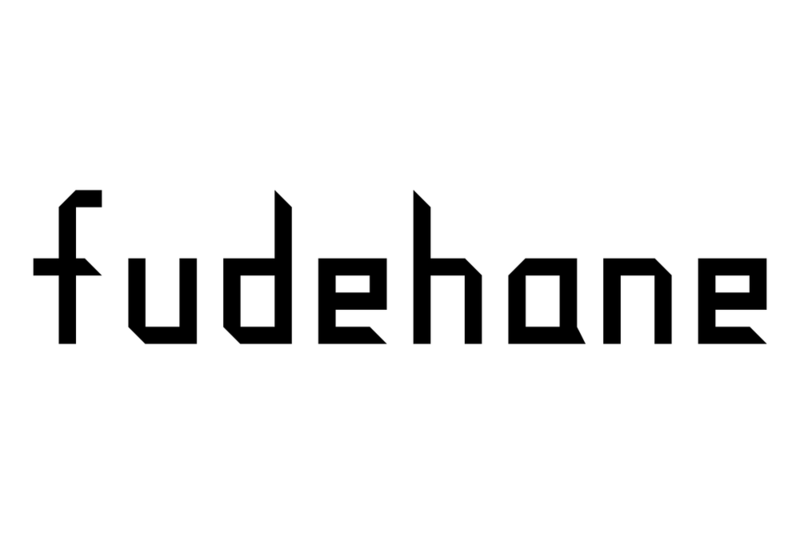 Expanding studio_01’s logo to a set of characters and punctuation, results in a new font for English characters called fudehane. 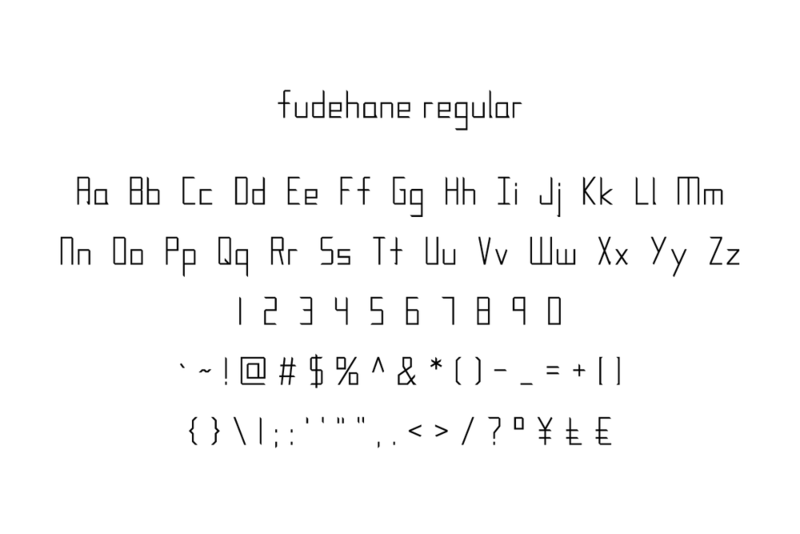 While fudehane is a font for the English language, its design originates from the brushstrokes of Japanese calligraphy which give the font its name: fude meaning "brush", and hane meaning "an upward turn at the bottom" which are often present in the strokes of written Japanese characters. 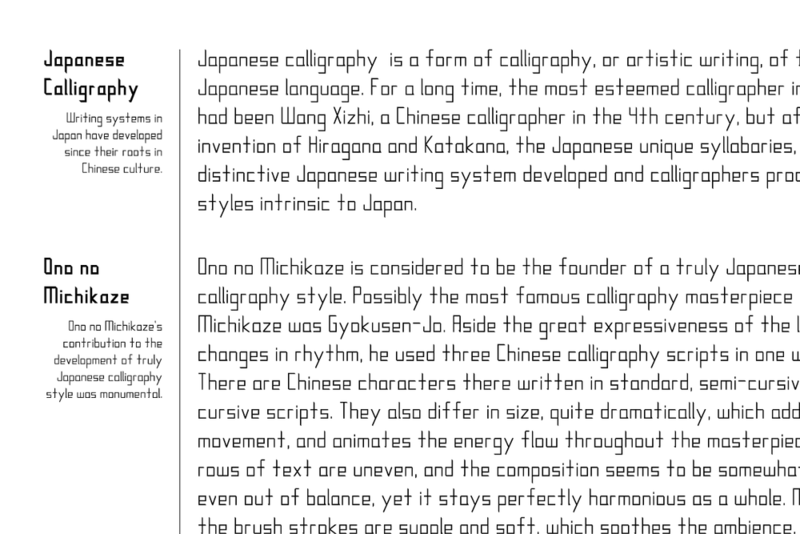 The font comes in two styles, regular and bold, and is available for purchase.